Create a list of words that describe you. Some of them should be unique, beautiful, and strong. 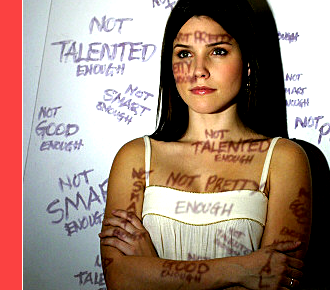 Low self- esteem is one of the major challenges people face every day, especially young women. Images projected through television, music, social media and magazines have caused us to glorify celebrities and want to imitate them. Unfortunately, we fail to realize that, a lot of what we see is not reality and does not reflect true beauty. Technology has made it possible for celebrities to look perfect using Adobe Photoshop, cosmetic surgery, and professional makeup. But why would you want to be a copy when you can be an original? We are all made with differences ranging from the color of our skin, to the shape and size of our body. No matter where you are from or what you look like, take pride in who you are and fall in love with everything about you. True beauty lies within. Here are a few tips that will help you build your inner confidence. “I am ambitious and can achieve all things.” Start every day by saying something positive about yourself. Affirm how great you are! Positive reinforcement is important. By telling yourself this, you are creating a mentality and atmosphere that will allow you to be productive and seek goodness in anything you do. There is power in words. Speak life to your future. Celebrate your success! It takes hard work and dedication to set goals and accomplish them. Whether you passed an exam with a good grade or received a scholastic award, take time out to celebrate. Grab some friends and head out for a night on the town or have a dinner and a movie at home. Either way sit back relax and enjoy your achievements. Remember it is not easy to stay focused and complete a goal. So give yourself a pat on the back! One of the biggest obstacles faced when building self-confidence is fear. Fear is mental! It is defined as F-alse E-vidence A-ppearing R-eal in your mind of failure. The best way to overcome your fears is to step outside your comfort zone and not be afraid to fail. If you are terrified of public speaking, the only way to overcome that fear is to push yourself to walk up on a stage, stand behind the podium and speak! And keep doing it until you feel comfortable! Simply volunteering as a host in a school production, joining a Toastmasters club or even being on the debate team, can help you begin to build inner confidence. You will wake up one day and realize that an area you used to be afraid of has become one of your greatest strengths. Sometimes, overcoming our fears can lead us to future passions and ultimately our purpose. Never limit yourself. Tackling your fears could lead you to your greatest achievements. Life will undoubtedly, have its ups and downs and mistakes will happen. However, dealing with disappointment is being able to tell yourself everything will be okay. Self-motivation is essential. You have to be able to encourage yourself even when there is no one around to motivate you. Positive self-talks will help you push through any obstacle you are faced with. When your conscious tells you “I can’t do this”, you must say loud and proud “Yes I CAN”. Consistently, speak great things and life will give you extraordinary rewards. In addition, keep a circle of positive people that give off good vibes, keep you motivated and want to see you succeed. With an “I CAN” attitude and supportive friends, you will be equipped to overcome any obstacle in your path. 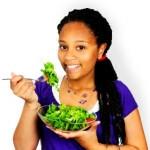 Eating healthy and exercising is another way to boost your self -confidence. Feeling good about the person in the mirror starts of by exercising and eating right. If you look better, you will feel better about yourself. Eating fruits, vegetables, good carbs and a variety of lean meats allows your body to maintain strong bones and gain energy. Exercising keeps the body actively working to the best of its ability. When talking about exercising, that does not necessarily mean getting a gym membership. You can go for bike rides, jog around in your neighborhood, go swimming or even pull up a Zumba video on YouTube. No matter what activity you do, looking and feeling good will be the end rewards. Taking the pledge to make healthy eating choices while staying active, will boost your confidence as people continuously compliment you on how great you look. BE YOU! Nobody’s perfect, we all have flaws and faults and that’s what makes us human. Your ideas, gifts, perspectives, voice and physical features make you one of a kind. 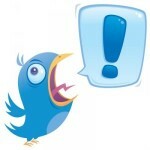 Let your voice be heard and showcase your talents. Don’t let anyone define you. Embrace the person in the mirror because you are the way you are for a reason. Laugh louder and smile wider because you have something to offer the world. Be comfortable in your own skin and accept both your external and internal beauty. Confidence brings light to your inner self. 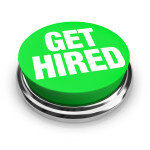 Define what makes you different and create your own personal brand. Remember, there is no one like you and you should love being who you are. Live life and be grateful for each day, continue to see the beauty in yourself and shine the light on others. 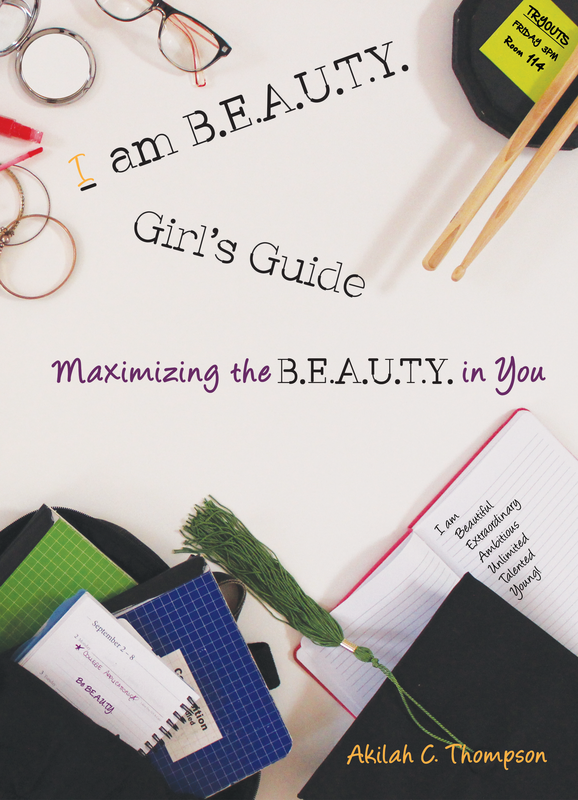 Get Your Confidence on Fleek ! 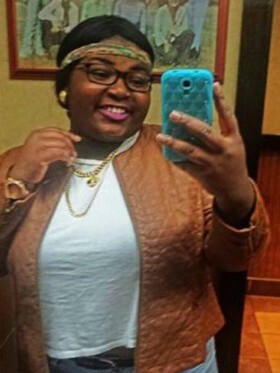 Well thanks to Kayla Newman , “On Fleek” is one of the most used terms by teens. 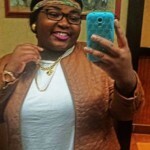 On May 17th , 2015 , Akilah C. Thompson, the founder of I AM B.E.A.U.T.Y., had the pleasure of sitting down and talking to Kayla, aka “Peaches Monroee “. 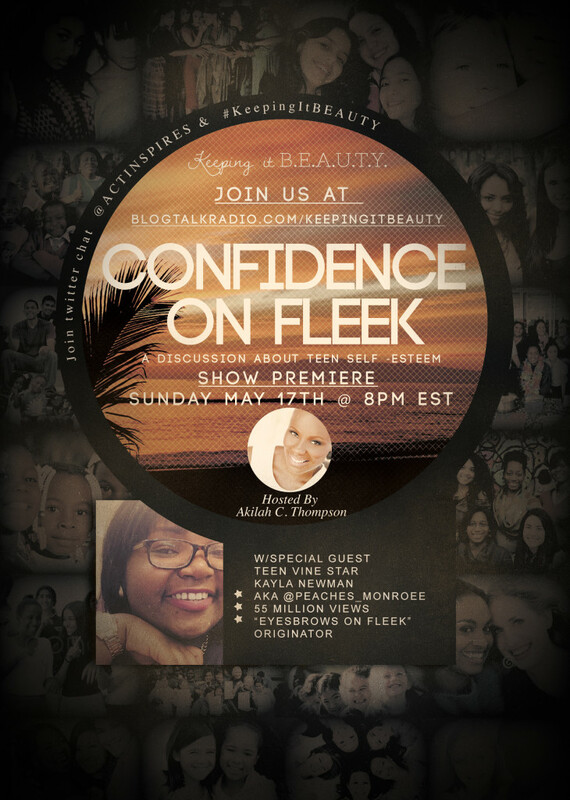 There was an interesting twist in the interview where Akilah and her co-host Cassandra were able to even come up with their own slang , “Confidence on Fleek” which was the title of their broadcast. When I first saw the name on the broadcast, I was a little confused. But, after watching the interview segment, it became clear. First off let’s get the definition of both confidence and “fleek” clear , Confidence is belief in oneself and one’s powers or abilities; self-confidence; self-reliance; assurance. According to Kayla who coined the term, “Fleek” means on point, looking good. Kayla also made it clear how the word was intended to have a positive connotation despite all its negative usage. 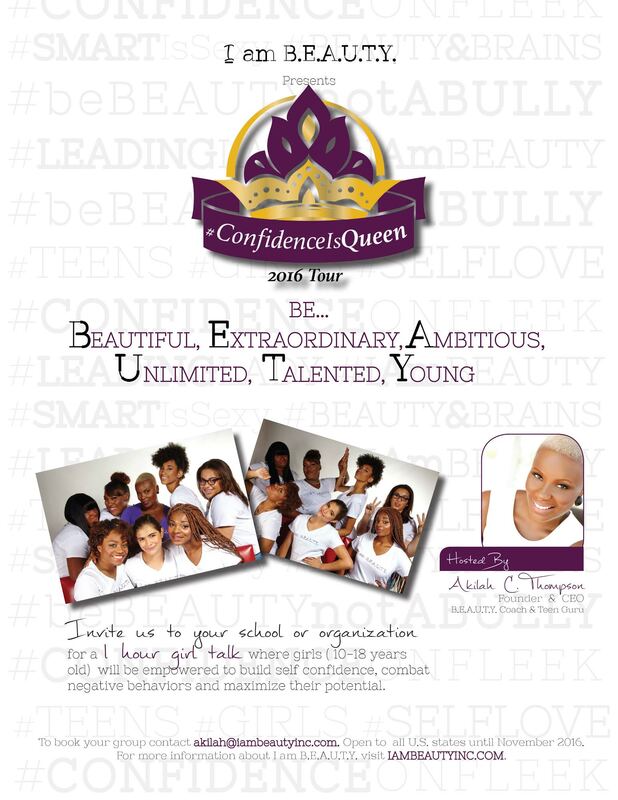 What many people don’t know is that a lot of kids now a days , lack confidence and have low self esteem , what Akilah and her team at , I AM B.E.A.U.T.Y. seek to accomplish is to uplift young girls in a way that they become aware of their own self worth and can strive to achieve greater heights. 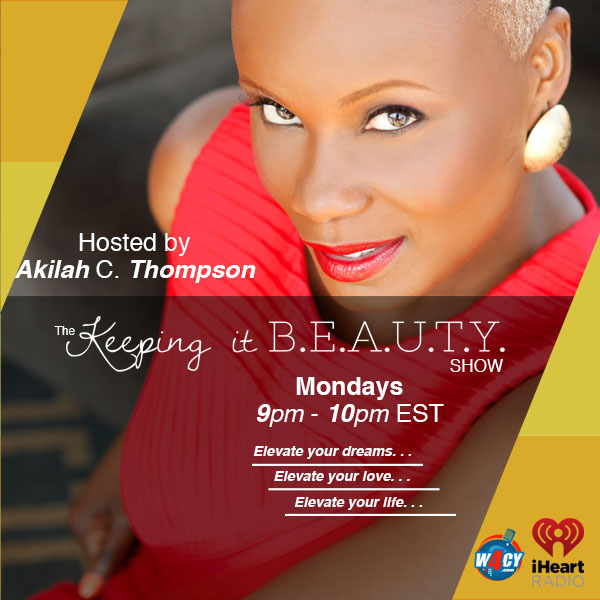 During the segment with Akilah and Kayla, when Kayla was asked what would be her advice to teenage girls who lack confidence and have low self esteem , she powerfully said that they need to “Love themselves . If you can’t love yourself , how can you love someone else?” And the fact of the matter is , she’s 100% right! We as individuals cannot love others if we cannot have that unconditional love and care for our own self . If we can’t do that then how can we whole heartedly love others ? There is nothing wrong with being different. There is nothing wrong with going against society’s “norms” . Because , “If you change the way you look at things, the things you look at will Change” -Wayne Dyer . Be Beautiful . Show how Extraordinary you are . Be Ambitious . There’s no limit to who you are and what you can be . Be Unlimited . Show the world how Talented you are . And please remember , you are Young , cherish these days and make the best out of each and every second of it . Be the best you that you can be because there’s no one else out there like you. Be You . Go ahead and get your Confidence on Fleek! To listen to the show click here: LISTEN NOW!